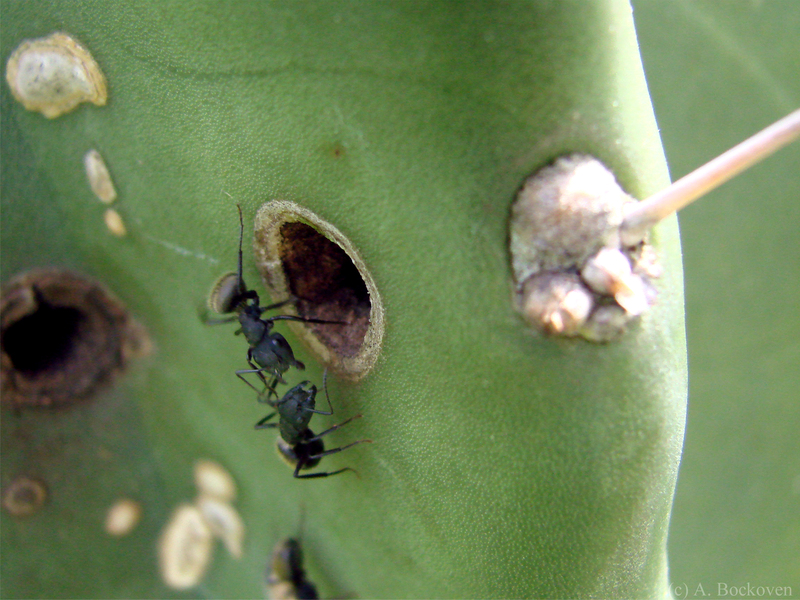 Carpenter ants (Camponotus) guard a nest entrance in a prickly pear cactus. Carpenter ants belong to the ant genus Camponotus. They take their common name from their nest-building habits. 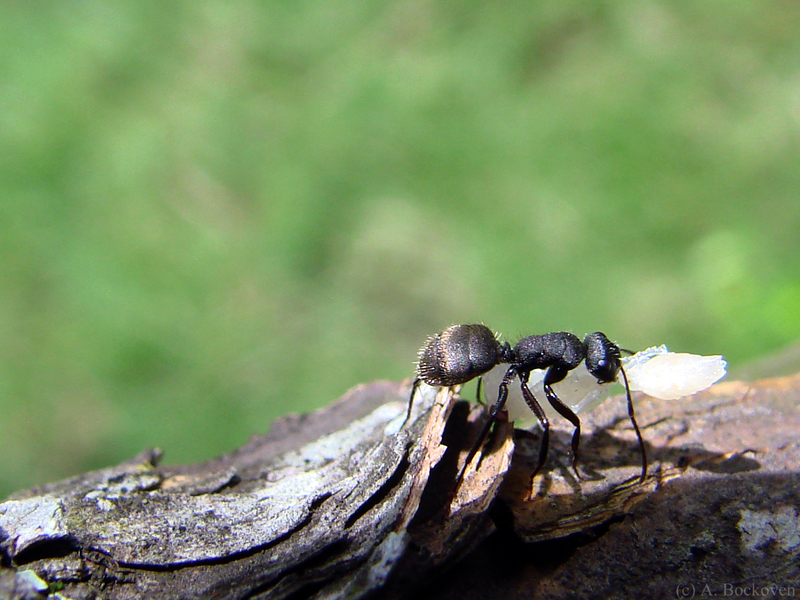 Most carpenter ants prefer to nest in damp dead wood and will even hollow out dead trees. 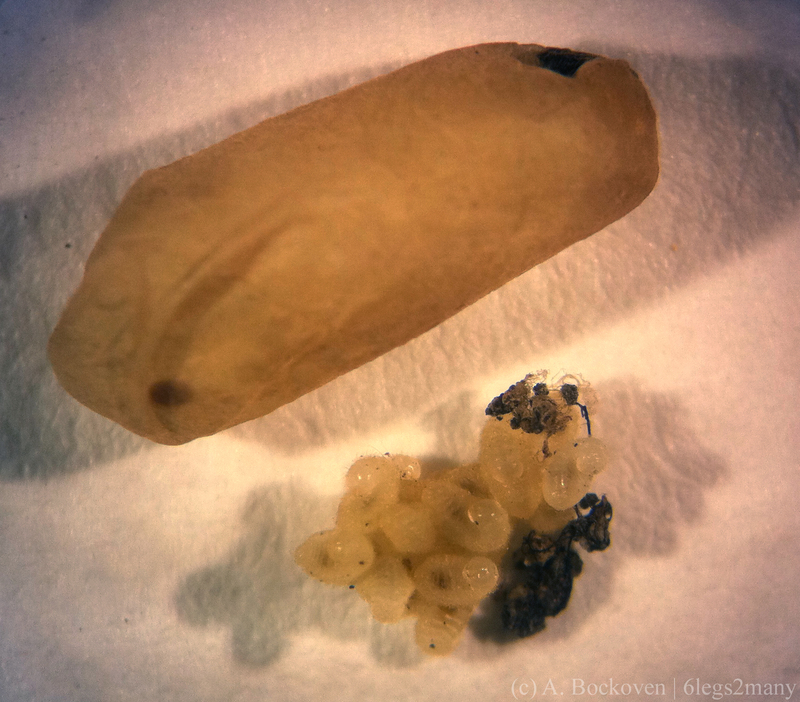 As we’ve seen before, however, these ants can also be found in ground nests. The above ants built a nest in the living flesh of a prickly pear cactus. I found this group while doing field work in Argentina. The two workers above did not approve of my nosy camera, and were standing guard over the entrance. Although carpenter ants do not consume wood like termites do, their nest building habits can make the construction pests if they choose a building wall to tunnel in. 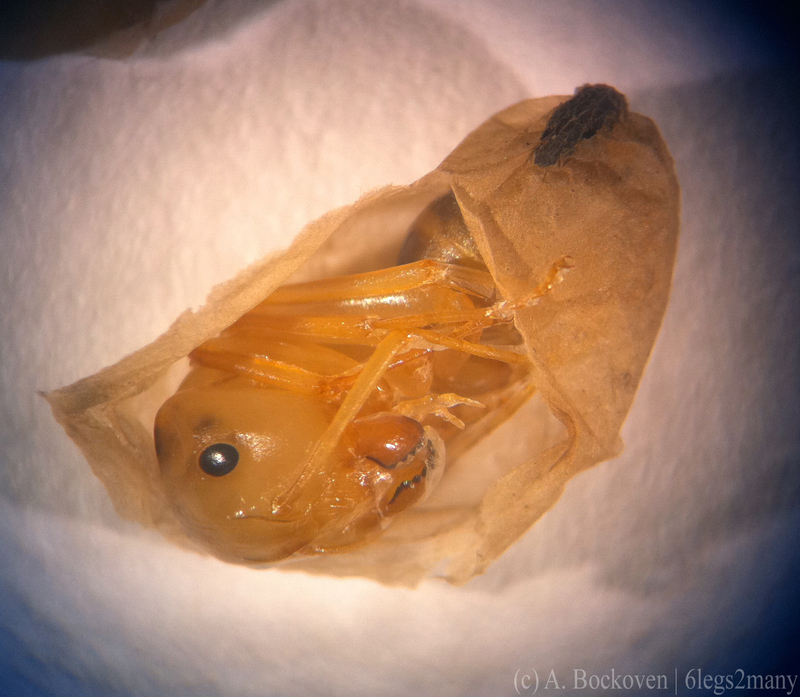 Sugar ant (Brachymyrmex) tending aphids on flower bud. As mentioned in a previous post, many phloem-feeding hemipterans, such as aphids, take in excess sugar, which they excrete as a substance called honeydew. This sugary substance attracts other sugar feeding insects, which has led to some interesting interactions. 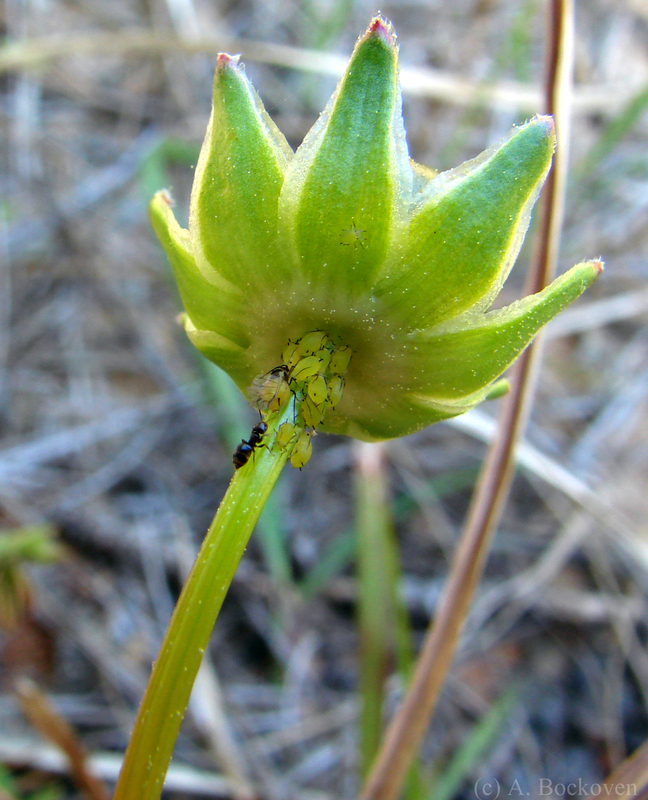 Among the most notable is the development of a mutualistic, or symbiotic, relationship between some ants and aphids. 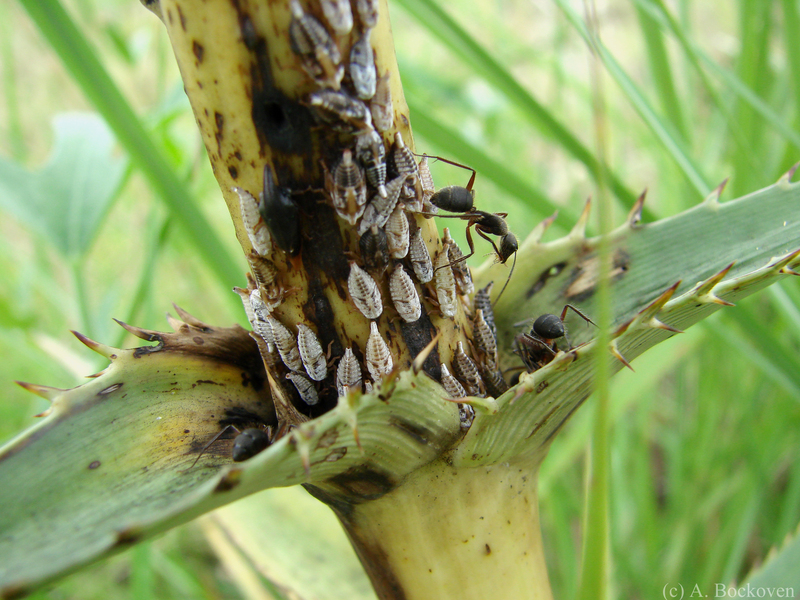 Ants may ‘tend’ aphids, drinking the honeydew and protecting the aphids from predators in return. This provides the additional benefit to the aphid of preventing the build up of their sugary excrement which could encourage the growth of fungi and mold. 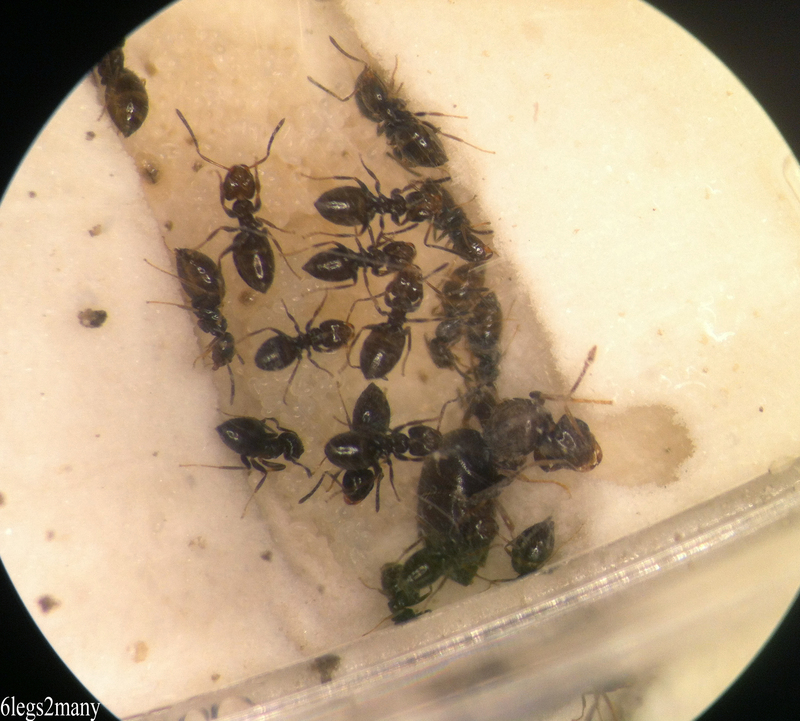 Carpenter ants (Camponotus) tending aphids. A parasitic wasp perches on the edge of the leaf. 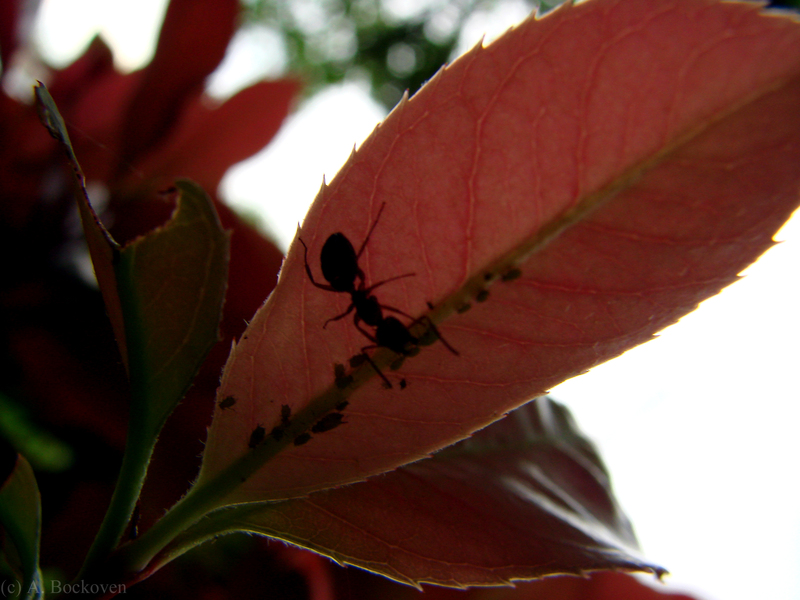 Ant-hemipteran interactions can be observed almost anywhere if one takes the time to observe closely. I found the carpenter ants above tending aphids on the bushes right outside my front door. Of course, as in any biological relationship, cheaters exist. 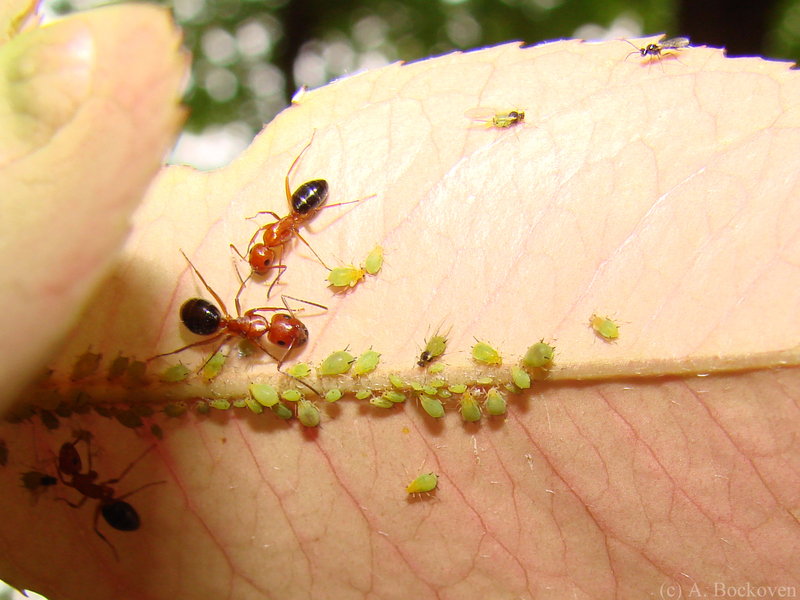 Some ants tend aphids without providing any protection against predators. 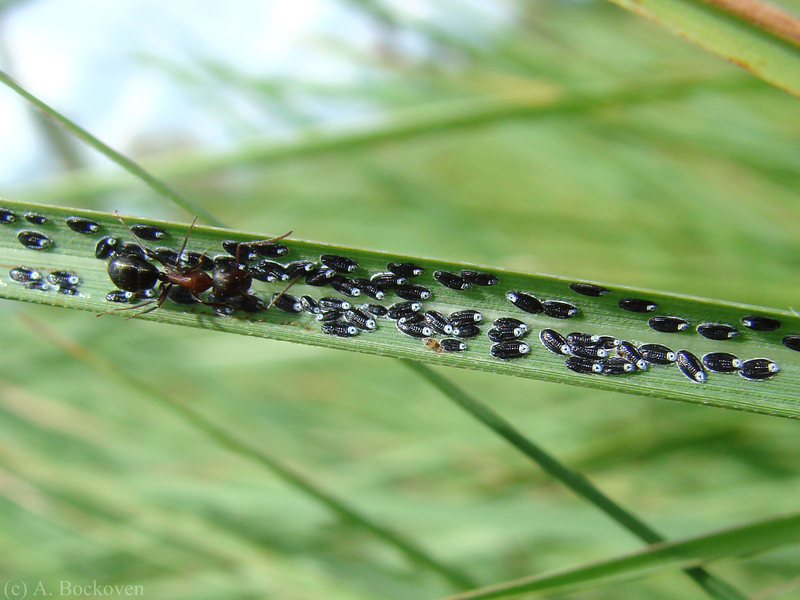 Some aphids manufacture less nutritious honeydew. On the other hand, some ants take their care of aphids to extremes, even building structures to protect the aphids against winter cold. Silhouette of carpenter ant tending aphids. Dimorphic carpenter ant workers at a nest entrance. 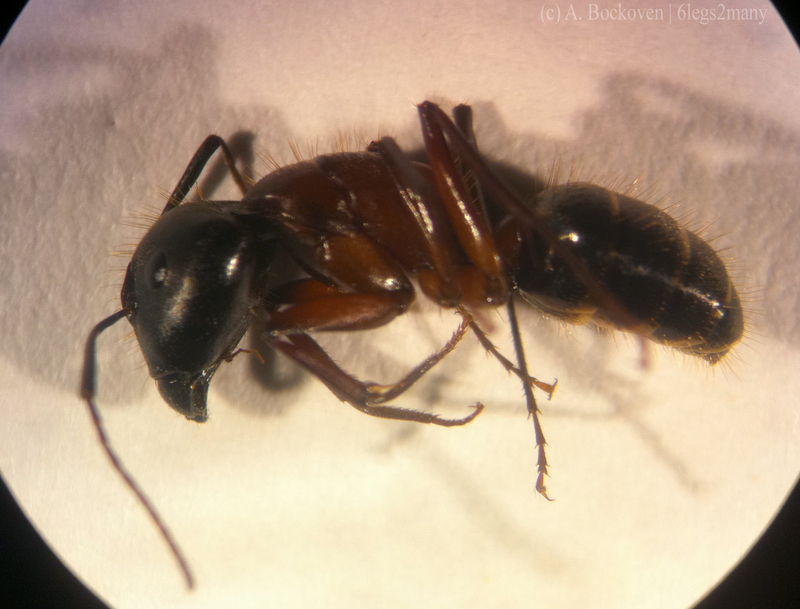 The fine hairs on these Argentinian carpenter ants (genus Camponotus) gave then a pretty golden sheen. I spent a while watching the workers of this colony. Clots of dirt extracted by diggers in the nest can be seen scattered around the periphery of the nest entrance, and form a large ring a few centimeters out. The ants didn’t approve of my looming camera lens and I caused a bit of commotion in the ranks. 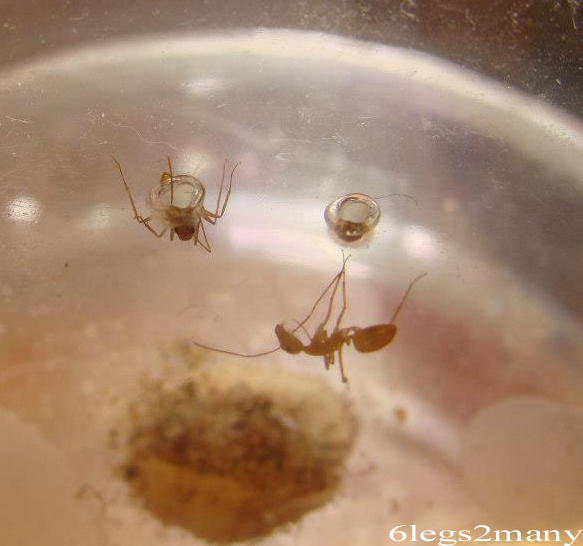 Many people are familiar with the concepts of ‘soldier’ and ‘worker’ ants. The reality is more complex. 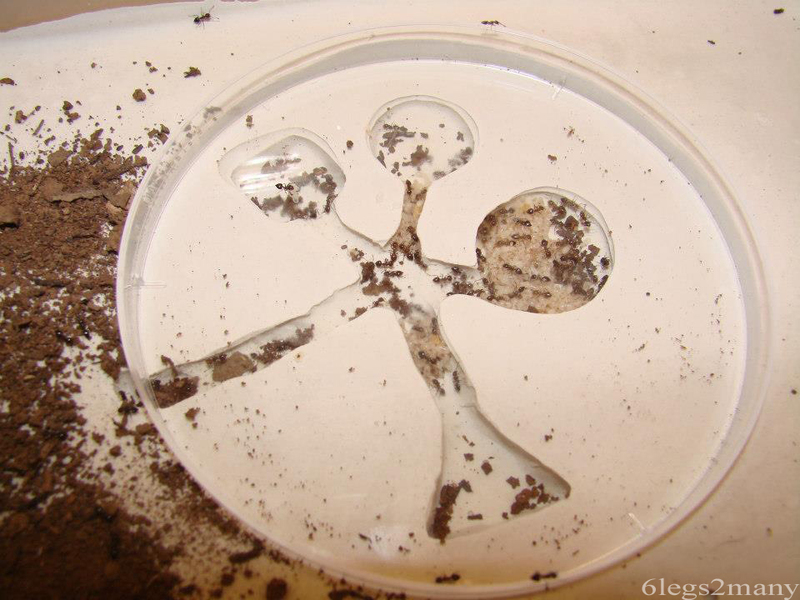 Some types of ants do not have polymorphic castes, or have a continuous range of worker sizes from small to large. 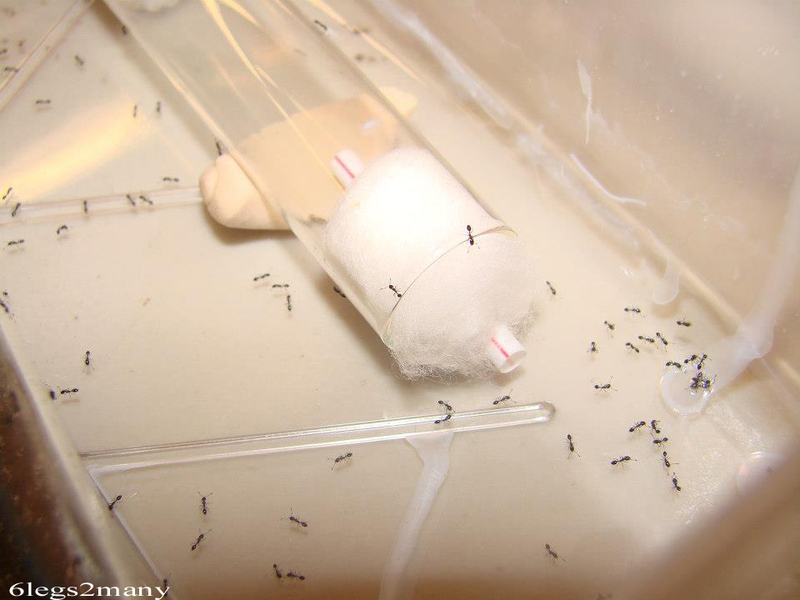 In some species of ants, the larger ants do indeed function as soldiers, while in other species they are more like pack animals, specialized for carrying large amounts of food back to the nest. In some types of leafcutter ants, the minors ride on leaf cuttings carried by majors and defend the large ants from attacks by parasitic flies. Smaller minors tend to be the primary nurses, as in many types of ants the major’s large jaws makes brood handling difficult. 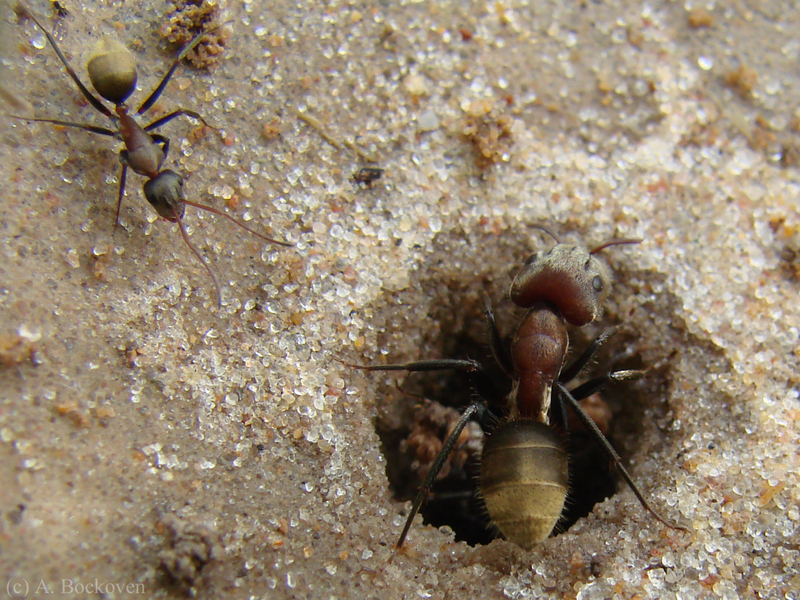 However, in probably the majority of ants, workers progress through tasks with age, with dangerous jobs outside the nest generally relegated to the oldest workers. The concept of the eternally busy and hard-working ant is equally inaccurate. For example, in the typical fire ant nest, workers will often spend half their lives or more as ‘reserves’ available to be called on for a variety of tasks but otherwise inactive surplus. 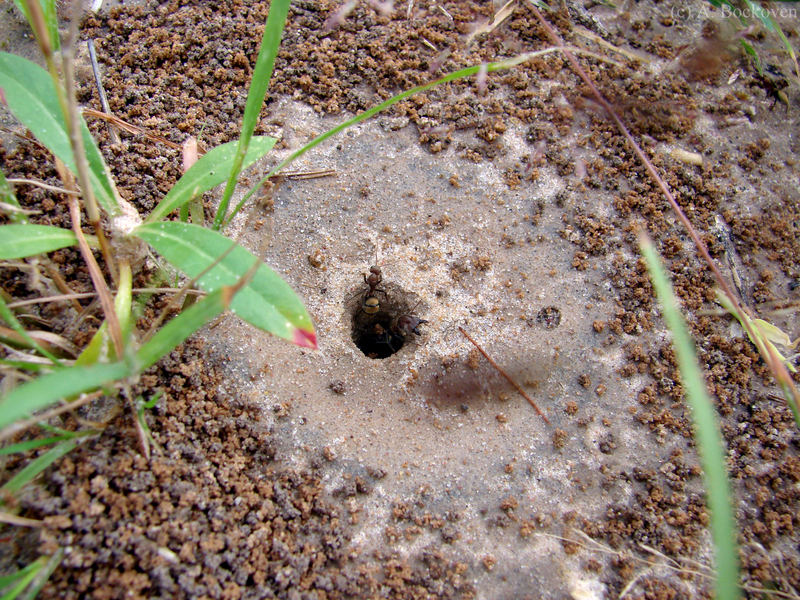 Ring of dirt around a Camponotus nest entrance. 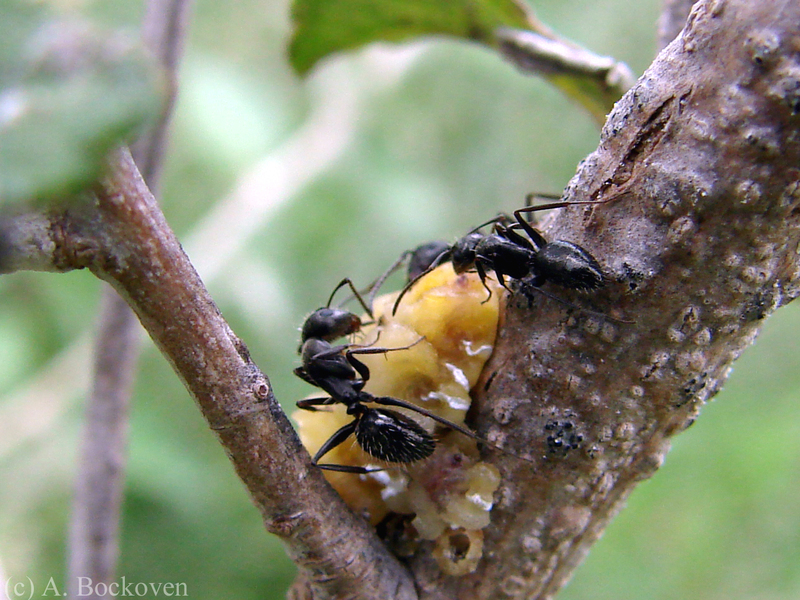 Carpenter ant workers (genus Camponotus) tend scales on a shrub in Argentina. 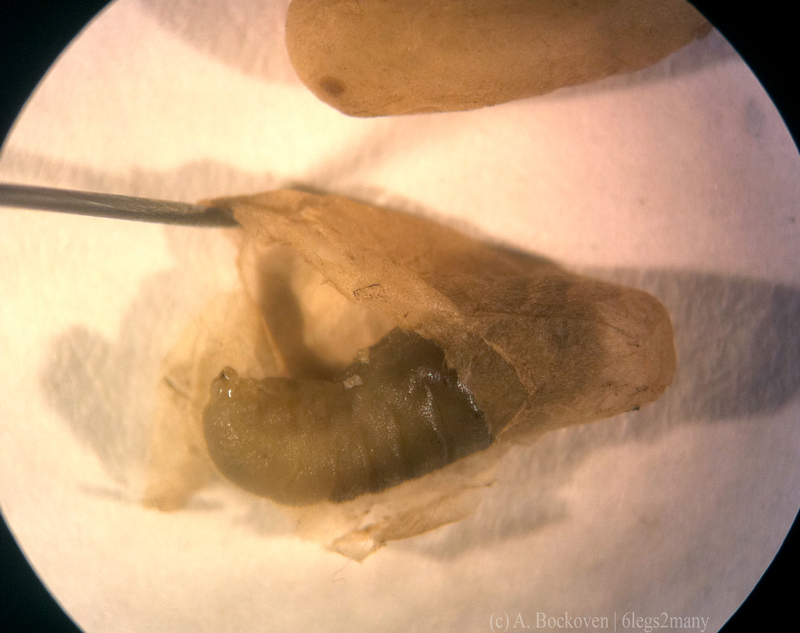 Scales (superfamily Coccoidea) are members of the same suborder of hemipterans as aphids, mealybugs, and whiteflies (Sternorrhyncha) but are just a little more bizarre. 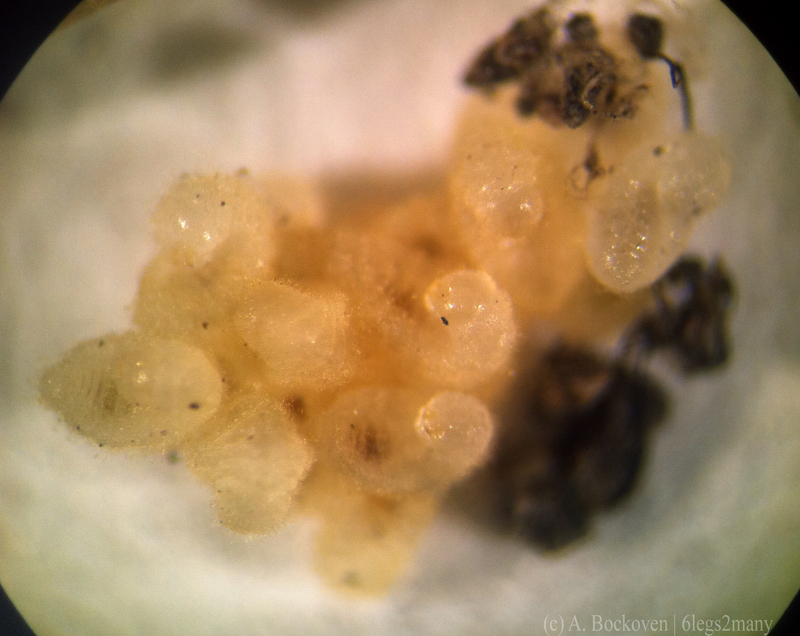 They are the barnacles of the insect world. These strange little insects have adapted to a point where they no longer need to move to gather food. Their tube-like beaks are plugged into the plant equivalent of blood vessels, which carry nutrients to them. Adult female scales thus no longer need trouble themselves with developing such trivial things as legs, antennae, eyes and wings, and are almost unrecognizable as insects. The males, on the other hand, resemble small flies, and flit among plants in search of buxom, blob-like females to mate with. While feeding on the phloem (or sap) of plants, scales take in an excess of sugar compared to other important nutrients such as protein. To counter this, scales (and many other hemipterans) excrete a sugar rich liquid called ‘honeydew.’ Honeydew often attracts other insects such as ants, who drink the honeydew and sometimes tend the scales like milk cows, protecting them from predators. A carpenter ant (Camponotus) tends scales on a grass blade.